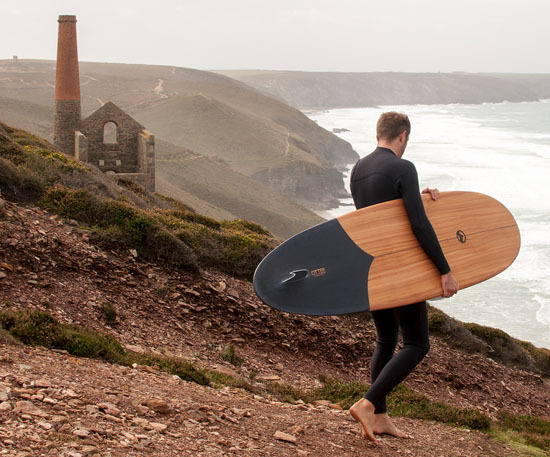 Teaming up with Otter Surfboards in Porthtowan, UK, Martin Spurway has designed and developed his own wooden surfboard sourced from sustainable woodlands. 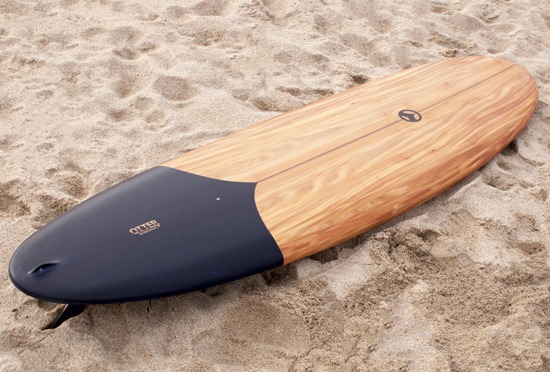 The development process is based on mix traditional surfboard construction techniques and combined with a modern design aesthetic. Once the surfboard is done, then it is finished and glassed at Diplock Phoenix. The overall process of this workshop is done in 5 days, started with the inside frame of the board that was glued to the bottom skin, then for the second and third days, rails were built up from a series of strips. The top was glued on at the end of the third day. Finally, the fourth and fifth days were used to shape and sand the rails of the board, making it blend in the nose and tail. The top and bottom skins and rails are made constructed from Western Red Cedar wrapped over a poplar hollow frame. 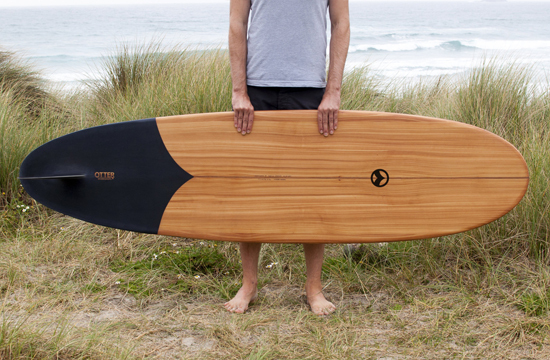 This sustainable surfboard can be said a custom designed board, therefore, Martin Spurway also created a bag to complement the board. This bag doesn’t just protect the surfboard, it also emphasizes features such as the fin slot that is reflective polyethelene in contrast to 600 dennier recycled polyester.